Members of the class of 2016-17 thought they were visiting an agriculture operation when they walked onto the production floor at Fortville Feeders. Imagine their surprise, then, when they learned they were actually watching the fabrication and testing of equipment that is found in virtually every factory in the country that uses automated processes. Fortville Feeders was one of two stops on an afternoon field trip for the class, which spent Wednesday, Nov. 2, learning about business, commerce and, yes, agriculture during its monthly class day. The group spent the morning and enjoyed lunch at Elanco Animal Health in Greenfield. The stop at Fortville Feeders is on the agenda every year for Leadership Hancock County. As a leader in manufacturing equipment that feeds parts into assembly systems, Fortville Feeders is one of the county’s most interesting — if little understood — businesses. Jason Crouse, the company’s president, led the group of a tour of the plant, which is just off Broadway Street on the eastern edge of Fortville. The family business, started by his father in the 1970s, is a leader in the technology. Its 60 employees fabricate what are known as “feeder bowls,” circular machines into which parts — everything from shampoo bottle caps and aerosol tips to small automotive components — are fed. Using a high-speed vibrating mechanism — one employee likens it to the same technology that powered old-time electric football games — the pieces travel down a spiral chute and eventually wind up in the proper position to be either packaged or placed on another piece. In the same way little player pieces moved on a vibrating surface painted to look like a football field, a well-functioning feeder bowl vibrates parts into the right position, often at high speed. Crouse said almost every manufacturer that uses automated processes uses some type of feeder bowl mechanism to arrange parts. Across the large floor in the plant, employees were working on several bowl mechanisms, feeding various parts into the top of the machines and watching them vibrate their way toward the bottom. 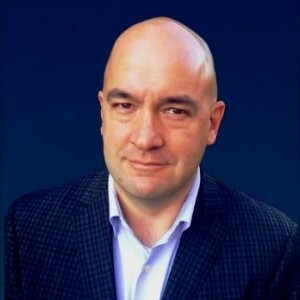 –Mitch Davis, an Elanco executive who helped organize a recent major summit of world business leaders to discuss the role of antibiotics in safely increasing food production, told the class that the world’s population is consuming more food than the planet is currently producing. This will become even more critical, he said, as the world population grows. Elanco, which manufactures medicines and other compounds for animals, is a key player in developing methods to increase food production. 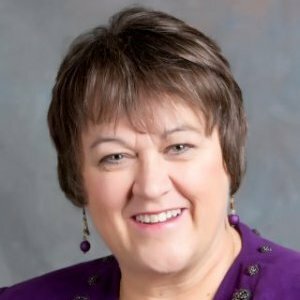 –Retta Livengood, president of the Greenfield Area Chamber of Commerce, profiled the chamber, which has nearly 400 members and is the largest business networking entity in the county. 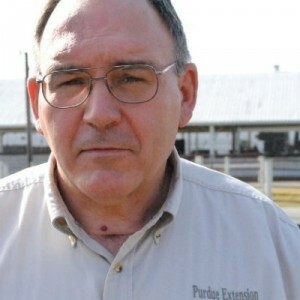 –Roy Ballard, agriculture and natural resources educator for Purdue Extension Hancock County, gave the class an overview of agriculture in Hancock County. Ballard, one of the founders of the Hancock Harvest Council, a group dedicated to promoting locally grown food, pointed out that Hoosiers import much of the food they consume. That’s ironic, he said, in a state whose farms are numerous and productive. –Skip Kuker, director of the Hancock Economic Development Council, took the group behind the scenes in the campaign to bring jobs to Hancock County. In the hyper-competitive site-selection process, it’s not always tax incentives that clinch deals, he said. Often, prospects pay more attention to things like ample utilities, good schools, and a well-qualified workforce. He also said that the Mt. Comfort area will be the next major retail/restaurant hub in Hancock County. A number of new employers, such as Celadon Trucking, will bring hundreds of new employees to the area, and those workers will want places to eat and shop, he said. 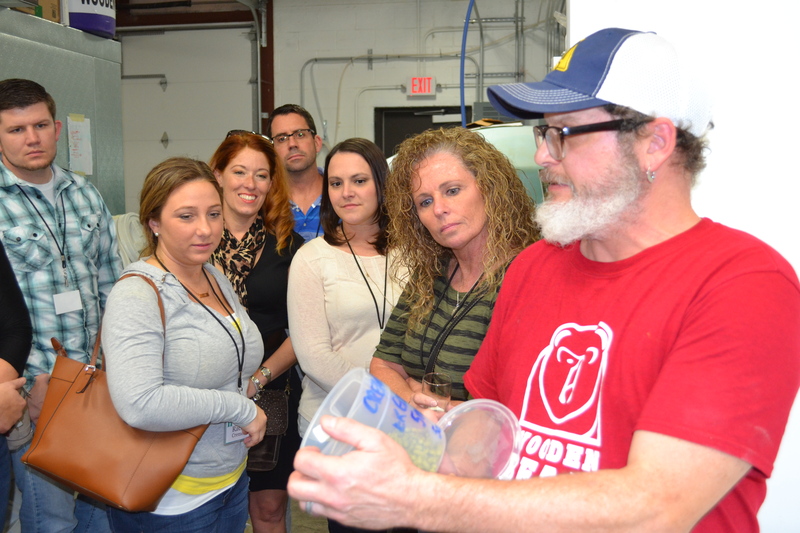 –After visiting Fortville Feeders, the class finished its day at Wooden Bear Brewing, the popular craft brewery on North Street in Greenfield. The group met Shelley Swift, a 2016 LHC grad whose husband, Jason, is a partner in the business; and Tony Vivaldi, the head brewmaster. Vivaldi led the group on a tour of the facility and explained how Wooden Bear’s popular beers are made. Class members also were able to sample some of them. 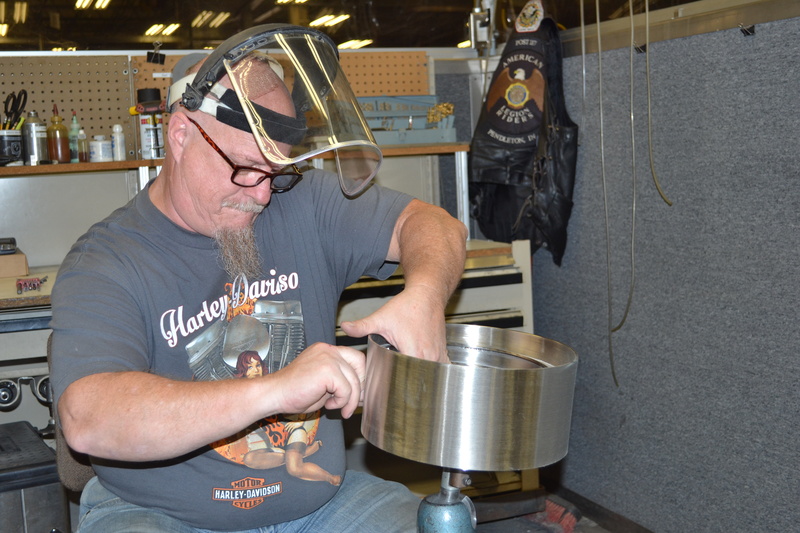 Jon Cannaday, an employee at Fortville Feeders, sands the edges of a feeder bowl part. Even small metal spurs can cause problems in the finished product. Tony Vivaldi, brewmaster at Wooden Bear Brewing, cracks open a container of hops, a key ingredient in brewing beer. Class members (from left) Robert Caird, Rachel Cremeans, Lisa Thompson, Matt Davis, Summer Grinstead and Debbie Grass take a closer look.